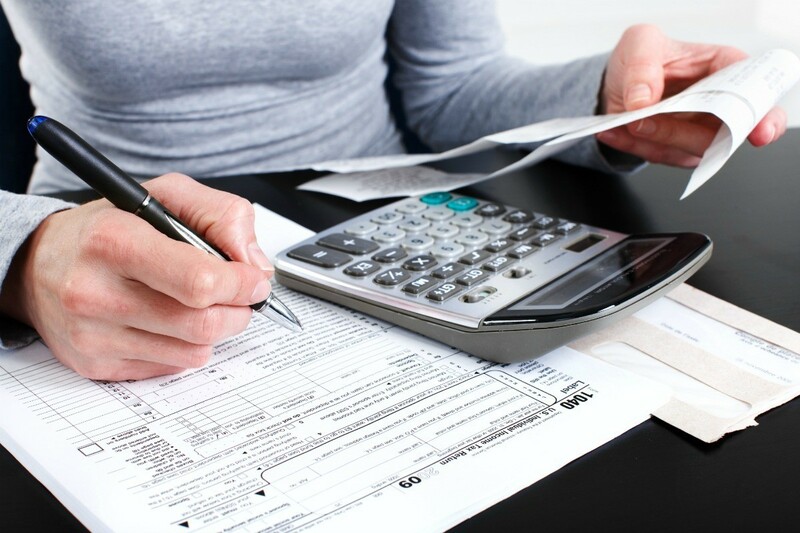 Whatever your tax liability is for, you want to make sure you are ready to pay it on time. This is a guide about paying taxes. It looks like December is so full of extra payments and of course those dreaded taxes we have to pay. Don't stress over them. Go open a Christmas Club now, to pay your taxes when they come due in December. It is well worth the effort. You can have the bank deduct an amount from your account each month, or you can make a monthly payment. It is free of any charges (some banks pay you a small percentage of interest), and you can draw it out in early December before your taxes are due. You can also set up the amount you want your account to be. Figure out your taxes and take out a Christmas Club to cover all the expenses. You really won't miss the small amount of money coming out of your account each month. Not only is this smart, but economical as well. I am unemployed and work part time jobs off and on during year. So I have starting paying off taxes during the year. Working at the tax office, I found out you can pay your taxes early. After I get my estimated property tax statement. I start paying on it. Just remember to send a copy of your tax statement each time. It has your tax number listed on it. You will get a receipt back. By the time tax times comes due, I will only owe about $300. I never pay off completely because the estimated taxes that comes in July is sometimes higher than the final bill. I saved change for years from my paychecks. How can I deposit it with out paying income tax on it again? I already paid tax on it. Just do a change exchange. Some grocery stores have machines yu can drop change into and they give you back a dollar bill equivalent. If there isn't one in your area I would think you can wak into any bank and do the same thing. Especially if it is a bank you have an account in. Just because you have lots of change doesn't mean it will be considered income and taxed again. Worse case scenario is the bank might give you coin rolls to roll your change with before they take it. You say you want to deposit the money so I assume you will be depositing the money into a bank account of some sort that will be paying interest. You will taxed on the additonal income the money earns, not on the deposit. That is not paying a tax twice. If you put it into savings, you won't pay income tax on the deposit. It's not income. You will need to claim any interest you might make though and pay tax on that. Unless you've got several thousand dollars, I seriously doubt that at today's interest rates, you'll be paying much tax on the interest you make. I think if you are able, roll your change. Look for old coins, they could be worth something more than face value. Put that money into a rainy day fund, or a vacation fund, or something you'd really like to get in the future. My husband and I are both retired and want to sell natural handmade soap from an online distributor. We researched various distributors and found one whose products appeared to stand by it's word (free shipping for purchase over a $100.00). We ordered samples and liked the products. Here's my question: The flea market requires only daily booth rental fee and no tax ID. The soap distributor doesn't require a tax ID either. The customer doesn't pay taxes on flea market purchases. So, who pays the taxes and do we need a Tax ID? I have to ask, why doesn't the customer pay taxes on flea market purchases? The end-user is responsible for paying taxes. If I buy my supplies tax-free (with my state issued business license), I have to keep receipts and records of this. I make my product (either jewelry or cards), and charge appropriate sales tax to my customers. I then remit the sales tax to the state on a monthly basis. I don't know if it works this way in all states, but in Oklahoma we have state, county, and city tax. It is based on the point of delivery. The state issues a book with the current tax rates, or it can be found online. If I make jewelry for a custom order here in central Oklahoma, but deliver it to someone in SW Oklahoma, I have to charge tax based on where the customer receives the jewelry. It might be different in other states. Contact your state tax commission (you could check their website to get started), and they should be able to help you. We attended two free seminars about running a business and taxes. We went the second time, just to make sure (it's a lot to take in!). When you contact the tax commission, you can give them the scenario you gave us (flea market setting, how do you go about taxes?). I'm thinking if people are resistant to paying taxes at a flea market, even though technically they're supposed to, mark up your items however many percent for tax and just send it on to the tax commission. It's pretty easy for us to pay monthly through their website. Remember I said that the end-user is responsible for taxes. If you have to buy tables or trash bags, YOU are the end-user, and you DO pay sales tax. The book I mentioned earlier will go into all of that (expenses vs. inventory). You want to get this right, in case you're ever audited. I know a lot of people don't bother doing it correctly. I was told by someone teaching a jewelry class that if you take a trip, buy one string of beads for your business, you can write off the entire trip as a business expense. Ummmm . . . no. That's a quick way to get in trouble (if you get caught!). But people try to bend the rules all the time. I'm glad you are trying to do the right thing. We're extra careful, to make sure everything we're doing is proper. Please look into that book, and contact your tax commission. Those should be of great help to you! Best of luck with your new business, and I wish you much success! My wife and I received a house as a gift from her mother this year. We also sold it this year. Do we have to pay income taxes on the proceeds from the sale? I do my own income taxes, but that's a difficult question to answer. You could call the IRS's toll free number and ask them, they will be able to give you the right information that is needed. The answer to that questions depends upon if the house was your residence. If so, the answer is NO. If not, the answer is YES. Ask whoever does your taxes. My dad left me a house in his will. I sold it because I lived in another state. I sold the property in July and the following year when I filed taxes, I owed taxes on the money and was charged a penalty because I hadn't paid the taxes right after selling the property. You should call a tax professional and ask so you will be prepared if you have to come up with taxes and penalties. I would contact a tax attorney.The laws are different from state to state and you also may have to add in federal tax laws as well.If you made these decisions on your own or by well meaning friends you could face serious tax consequences. Better to play it safe. It's called capital gains, I sold my house within a year of purchasing and did not purchase another one within the next year, that caused me to owe $10K in capital gains(what you will owe depends on the money you get in your hand at closing). I filed taxes with a good accountant and he helped to bring down the 10K to 5K. You can set up installment payments with the IRS. I am paying back $150 a month right now. Talk with a tax person. I think you have made a costly mistake and will owe capital gains! First thing you should do, is before you make any financial decisions is to consult your CPA before you make any costly mistakes. Once they are done, it's too late! Generally if you received the house, you assume the same tax base as your mother had. If she paid $50,000 that is your base for figuring capital gains. If the home is sold, ie, $400,000 there would be a lot of capital gains! Inheriting a home, is always better than getting it as a gift. When the person dies, the tax base is stepped up to the value at the date of the persons death. If the house was not your primary residence for 2 out of the last 5 years in any combination of days, the sale is taxable. If your profit is more than $250,000 for each of you, but you did live there for 2 years, the tax is on the amount over that. The profit does allow for the cost of upgrades and restoration, but not simple maintenance such as painting. Check with your tax partner or go to irs.gov for detailed information on calculating profit and tax. This is for federal, of course. Some states have taxes they impose, others just go by what the irs says, so check you local city, county and state laws as needed. If I have power of attorney over my mother's estate and am late paying taxes for a few years, am I responsible for paying penalties and interests from my own pocket or can I pay out of her estate? You need to call a lawyer, good luck. As the Power of Attorney for my mom I can tell you that you are never responsible for out of pocket expenses nor can you profit from this. One thing I can say is this; if you don't pay the taxes which should come out of her money someone else may come and purchase the property for taxes owed and there is nothing you can do. Another thing is this; you have the responsibility of taking care of your mom's property as long as she lives; but when she passes if you are not the executor you will not be allowed to handle her affairs until one is appointed then they do it. Good Luck I know personally how much work this can be. My prayers go with you. I would say it depends whose taxes you're talking about. If these are your mom's taxes, the money should come from her or her estate. If you're the one who owes, the honorable thing to do is use your own money. Please, please don't abuse the privilege of having your mom's power of attorney! My hubby did this while I was recovering from a car wreck. He used my credit and my name and dug us into such a deep financial hole, we're still digging out three years after I started being able to have more control over my financial affairs. First, "power of attorney over my mother's estate" is mixing up two different things. Power of attorney authorizes you to act on behalf of a living person, if they become incapable (or unwilling) to handle their own affairs because of physical or mental incapacity. Power of attorney is granted to you by the person themself before they become incapable. (If a court grants you authority over an incapable living person's affairs, you are a court-appointed guardian, which includes power of attorney.) Power of attorney terminates immediately upon the death of the granting person. If you are handling someone's estate, that means that they have died and you have been appointed executor by the Surrogate's Court (or whatever it may be called in your state). In both cases you have authority over financial affairs, within narrower or broader limits; in the case of power of attorney, as spelled out in the document granting the power; in the case of an executor, as spelled out in the decedent's will or as the Court directs in its appointment. AND-- in both cases you are responsible to use reasonable diligence and care in your management, paying just debts and preserving assets; in the case of power of attorney, you are responsible to the person granting the power; in the case of an executor, you are responsible to the estate and the Court. If you have allowed taxes to go unpaid "for a few years," either from your living mother or from her estate, that is not "reasonable diligence and care in your management," and a court would probably hold you personally liable for penalties and interest, barring some serious extenuating circumstance. In no case can you use the funds of your mother or her estate to settle your own personal tax liability, and doing so would make you liable to civil and quite possibly criminal penalties. My son has POA for me. My mother died and left me 12,000. Is this going to affect my income? The $12,000 will not count as income. If you invest it, any dividends or interest will count as income. $12,000, whether received as an inheritance (maybe from an estate) or received from an insurance policy will not be taxable. You state that your son has POA so if he presently has control of your finances/money then he will also have control of the $12,000. Also, if you are living in any kind of state/government assisted housing that a monthly cost is based on income then this money could effect how much you are required to pay each month. If you are receiving any kind of government assistance (Medicaid, food stamps, etc.) then you are supposed to report this money and that may effect the amount of assistance you receive each month. Mandatory reporting of income like this is stated in the papers you sign to receive this help. If you are concerned about Social Security benefits then no, this will not affect your monthly check. It would probably be best if you and your son had a discussion about what will be done with this $12,000 so you will feel at ease about how it is going to be used. Affect your income for what purpose? Qualifying for Medical Assistance or Marketplace insurance? As an asset that could be seized if you go into a nursing home? If it is for taxes, you will need to talk to the person who does your taxes and is familiar with your state's tax laws for inheritance vs estate taxes. If you don't have someone, I suggest finding a good tax person because how money is left to people can affect your taxes. It can also affect things if you are trying to qualify for Medical Assistance or Affordable Health Care Insurance (Marketplace health insurance through the .gov site). This I know for a fact in my state as we are dealing with a family member who lost his tax credit when he inherited money that was counted toward his income. If you are asking because of income that could affect your stay at a nursing home (or be seized as income by the nursing home) you will need to talk to an elder care lawyer about this. When we have dealt with POA for family members, it meant that we acted as the person (to pay bills, deposit and withdraw from banks etc. ), but that was how it was written. You will need to talk to the lawyer who drew up your POA to know what your son can and can't do as you...and if that means he can get to the money you were left. If you DO NOT want him to have access to that money, you will need to talk to your lawyer to see if that can be stipulated. You will also want your will to stipulate what happens to that money when you pass if you are concerned about what will happen to it. There are trusts and such that can be set up by lawyers so that your wishes can be strongly enforced. Those things aren't cheap, but if you have wishes you want followed, it can give you piece of mind. Any one of these scenarios is serious and should only be answered and resolved by professionals (accountants, tax preparer and/or a lawyer. Wishing you all the best and sending up prayers that you can find the answers and solutions you need.